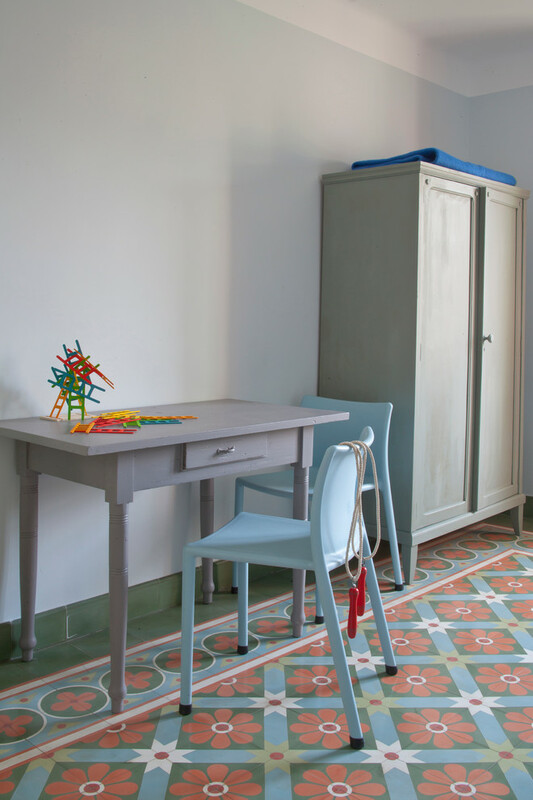 When choosing tiles for home, it’s important to consider several kinds of tiles. 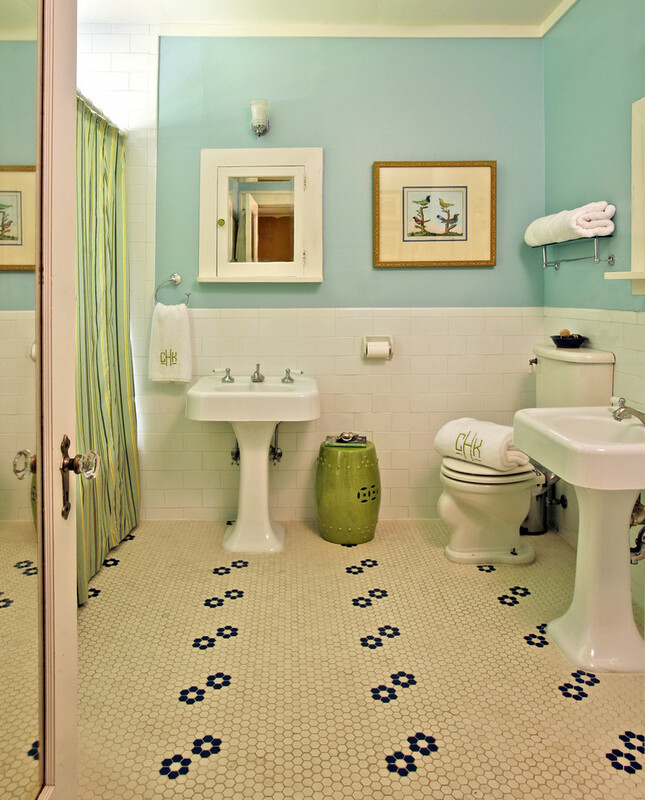 For the bathrooms, for instance, tiles with glaze is well recommended since they’re resistant to water and moisture. Tiles with water resistance are also quite favorable for such wet area. 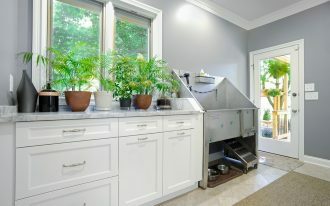 It’s also important to think about the style and space. 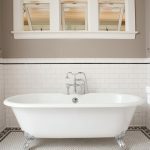 Tiles’ colors, patterns, and textures need to consider when we want to start remodeling the house. 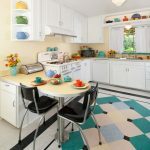 Nowadays, vintage is becoming popular as one of most favorite trends in architecture and home design, and tiles are used as one of most practical ways to get a vintage appeal in home decorating ideas. 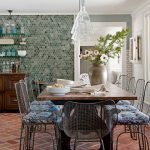 To get much inspiration about the vintage tiles, here I have attached the best ten ideas of vintage tiles applications for home. 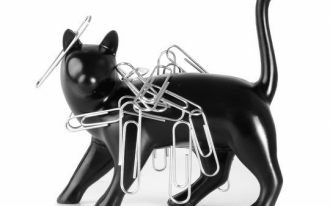 Wish that you’ll get new ideas. 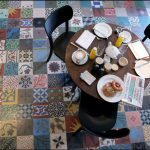 These vintage tiles are adopted from one of most popular historical buildings in Spain. 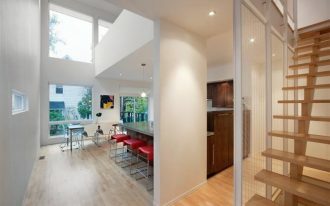 They perfectly bring much charm and elegance, particularly when they’re featured with clean & white walls. 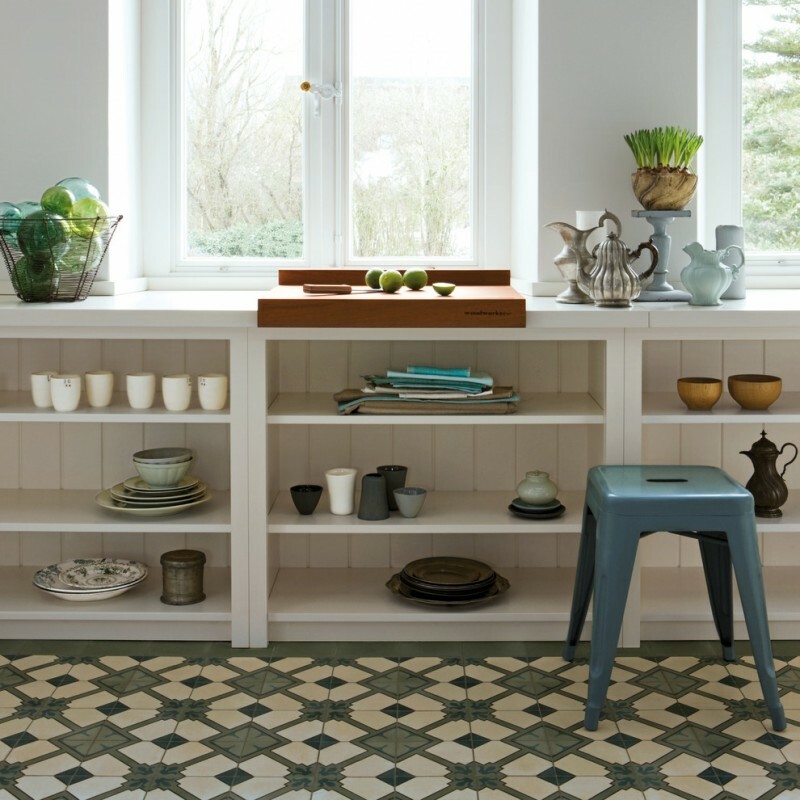 Give interesting color schemes by attaching these vintage tiles. Flowers featuring stars in each corner of tiles obviously break this plain white wall. 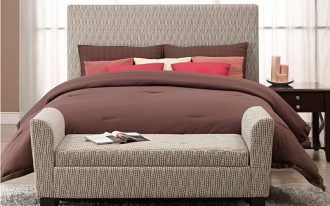 They’re also accenting the existed furniture. 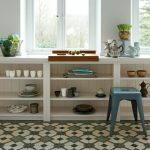 Pattern in vintage tiles becomes the most promising part for the best result, so it’s crucial to choose the right tiles’ pattern before applying it on the floors. 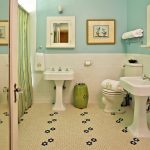 Clean lines and white are ideal to make these geometric-patterned tiles stand out, and consider the color choice since it will give the big influence for both tiles and other interior pieces. Vintage isn’t always old. 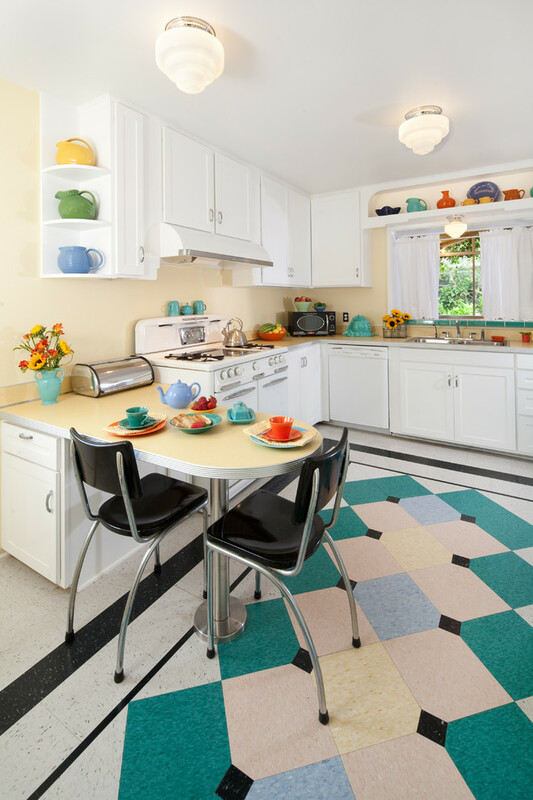 It could be modern in color like these vintage tiles. I love they create a color accent on floors. The frame is started from the grey then it’s blocked by black lines with pop of colors in the middle of frame. Wonderful! Vintage details have been found in this bathroom, starting from fixtures to tiles. When we’re focusing on tiles, there are some couples of black flowers that softly garnish the bathroom’s base. They’re not too much, yet beautiful. 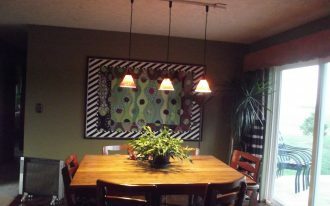 Create cheerful atmosphere by the color choice. 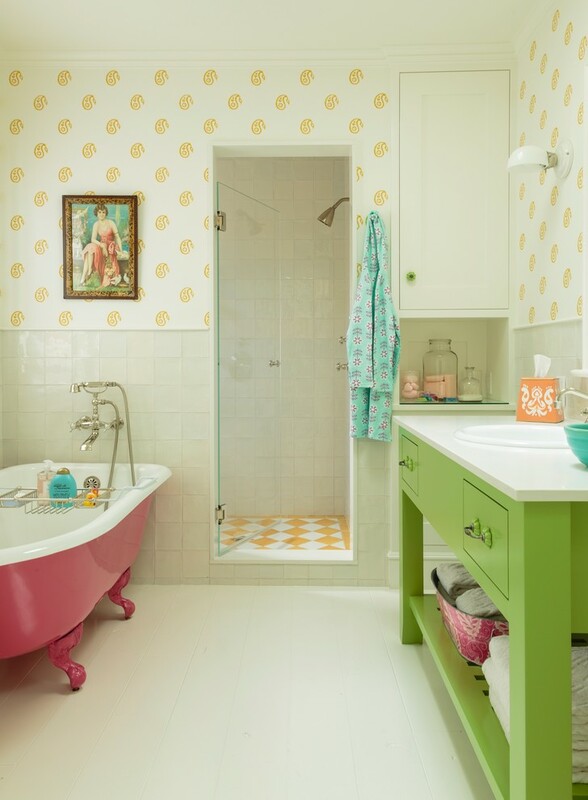 In this bathroom, the designer uses some bright & cheerful colors like green, pink, and yellow as the accent colors. They’re well-applied on some essential fixtures, but not the yellow. 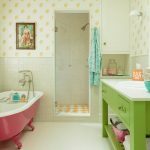 Yellow on tiles gives a distinctive tone on walls and floors, creating uncommon-look vintage tile products. 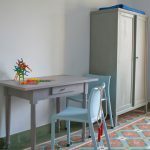 Multicolored mosaic tiles sound great to apply for walls. 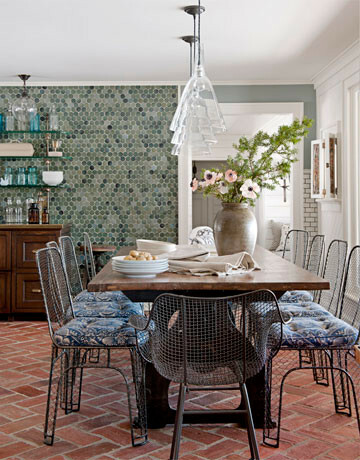 Feature them with red brick floors instead of wood floors if you love so much more patterns in your dining room. Incredible! 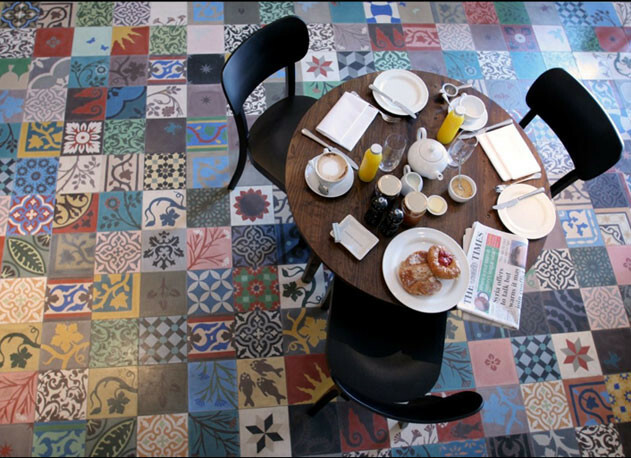 Complete your breakfast nook with such vintage tiles. 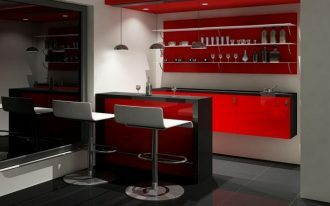 It would be more perfect if you furnish this nook with bold & dark furnishing pieces for a contrast. These patterns are called Greek Key. 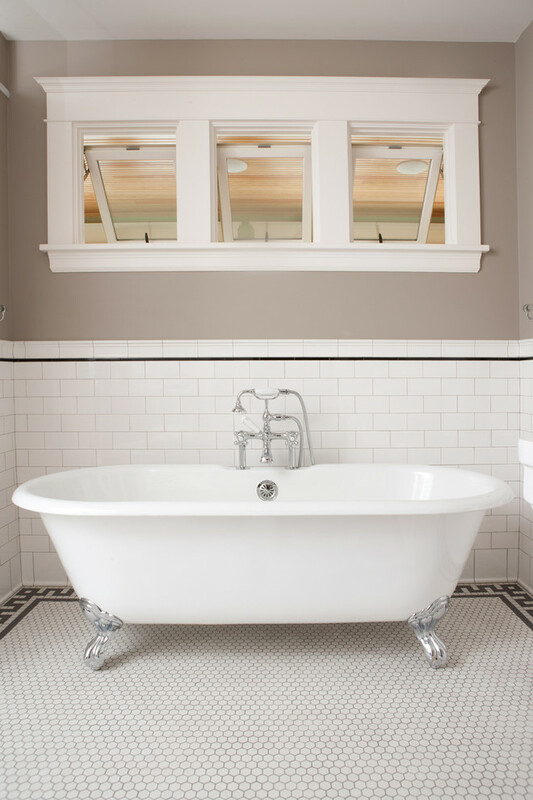 They beautifully frame this claw-foot bathtub, while thin black border liner adds the accent on walls. 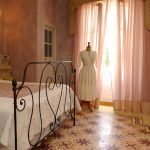 It would be awesome if you install the tiles that have the same scheme with fabrics (window curtains, for example) and wall painting. 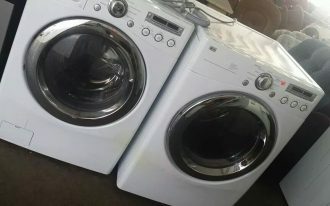 What’s the purpose? To create a harmony, at least on color.